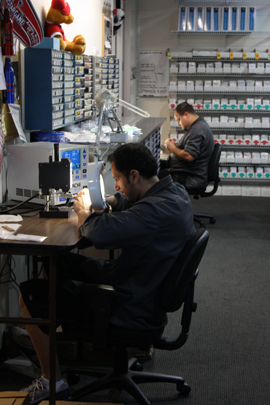 The IP Appliance® has proven to be the most effective method of practicing orthodontics. Cases finish in 40% less time by adding torque and rotations early in cases. This system also uses the optimal archwire shape for each patient based on each individual’s anatomy and case goals. More importantly, results are more stable as teeth have been in their final position for longer. Your dentist uses brackets and archforms customized to you, to minimize wire bending. IP Orthodontics incorporates the clinical knowledge of force application and skeletal resistance to appliance design so the dentist can more efficiently make the corrections, with better treatment results. Through the specifications of your doctor’s precise diagnosis, the IP Appliance® anticipates and compensates for unwanted tooth movements and other clinical effects before you even have braces on. This efficiency minimizes the need for the dentist to make compensations in the archwire. Using a custom welded or bonded bracket can be used to increase certain torque, rotation, and tipback to offset known problems before they happen on a case-by-case basis. An IP smile uses computer generated orthodontic technology that produces faster and more stable results. 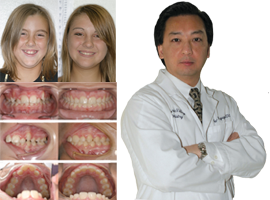 Your braces will be individually designed for the most effective and fastest treatment. 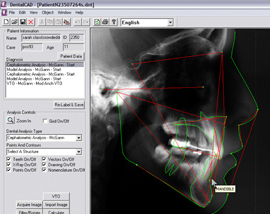 With the aid of a computer, your dentist diagnoses your teeth, bone structure, and facial profile to develop your treatment plan and customize your brackets. Your dentist uses cutting edge orthodontic technology to create the optimal treatment plan for you. Your doctor analyzes every detail before the case starts to interpret any potential problems before they happen. Some of the technologies used include digital cephalometric analysis, model measuring, visual treatment objectives and over 150 treatment plan templates. After your dentist completes a comprehensive diagnosis, he/she places an order to Progressive Dental Supply to customize your specific braces. Welders will execute the precise angles, torques and rotations to your unique bands, brackets and wires. After going through quality control, your Individual Patient Appliances® are sent back to your doctor to start your orthodontic treatment.